Back in 2008 the world was plunged into economic mayhem which it is still struggling to come to terms with. As politicians take a 10% pay rise and talk about austerity and cutbacks, many businesses are struggling to find enough custom. At the same time, economists argue about whether or not we have had two or three dips. Meanwhile, back in the real world we all realise that things are not the same as they were prior to the financial crash of five years ago. Of course, that crash was caused by a banking crisis, brought about by an over enthusiasm for lending to people who clearly could not pay back their debts. But the length of time it has taken for the world to recover is somewhat baffling. Indeed, economists are struggling to explain why we are still in the doldrums. The answer is easy. Don’t look at economics; look at the Internet. In the 5 years since the financial crash the amount of email we get each day has risen by 27%. 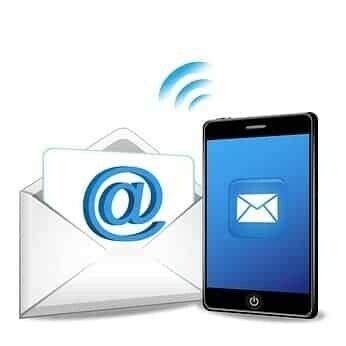 Each individual now receives an average of 115 emails per day. And that’s not counting the trillions of spam messages that float around the ether. Each of those 115 emails takes processing time. Even looking at it and deciding to throw it out takes time and now it seems we are spending around one hour every day simply sorting through emails – that’s before we consider the time it takes to answer them. Then there is the problem of “attention shift”. Whenever we stop what we are doing to see the next email that has just popped in to our inbox we have to switch attention. Doing this dozens of times a day adds up to one hour in the typical office worker. It means that most people who use the Internet at work are spending two hours a day doing nothing – yet they think they are. They are “handling” emails or “answering” them, but in fact they are either sorting out stuff that doesn’t need sorting or their brain is switched off, changing attention from one activity to another and not actually doing either. Now for an individual, two hours a day might not seem too bad. But what if you are a global company with 100,000 employees – that’s 200,000 hours of lost work EVERY DAY. What if you are small business employing eight people? That’s 16 hours of work lost a day – equivalent to having to employe a part-timer for two days a week. Email is a significant hit on our productivity, but the problem is we see it as work. It isn’t; most frequently it is a distraction and a time waster reducing our time spent on productive work. Now if you add up all the businesses in the UK with all the people who use the Internet at work that’s a massive 37million hours per day in the UK alone spent on sorting out email and shifting our attention back and forth. Just think of the economic activity that would be possible if we hadn’t been fiddling around with emails…! In the five years since the economic crisis began, the UK has lost 9.25bn hours in productivity every year, over 45bn hours in total. Of course that doesn’t get shown on the statisitics because we were “working” – it’s just the the work wasn’t work at all, it was fiddling with electronic messages. We are still in the economic doldrums because we are doing much less work than normal. Much of the “work” we do is actually now an illusion, which was not the case in previous recessions when email either did not exist, or was only a small part of our day.